Mom's Gone Bronson! : Blaze and the Monster Machines DVD Giveaway! Disclosure: The original writer received one or more products in this post in exchange of an honest review. All opinions are my own. It's Blaze and the Monster Machines, It's Blaze and the Monster Machines, do do doot do doo, doo do doot do do..... Oh wait! I'm not alone here. Sorry about that. The Blaze and the Monster Machines theme song is so catchy. I am guilty of signing it while cleaning. While it may not be my chosen song, Cooper seems to think its funny. With that admission, you can understand how happy Cooper and I were when Blaze's new movie showed up for us to review and share with you! Of course there is a giveaway! I hope you stick around for that. Anyway, the kids and I weren't alone on the day that Blaze came to see us. Allyson had a friend over. Boy oh boy was he excited when I opened the package!! Of course we had to watch High Speed Adventures right away! 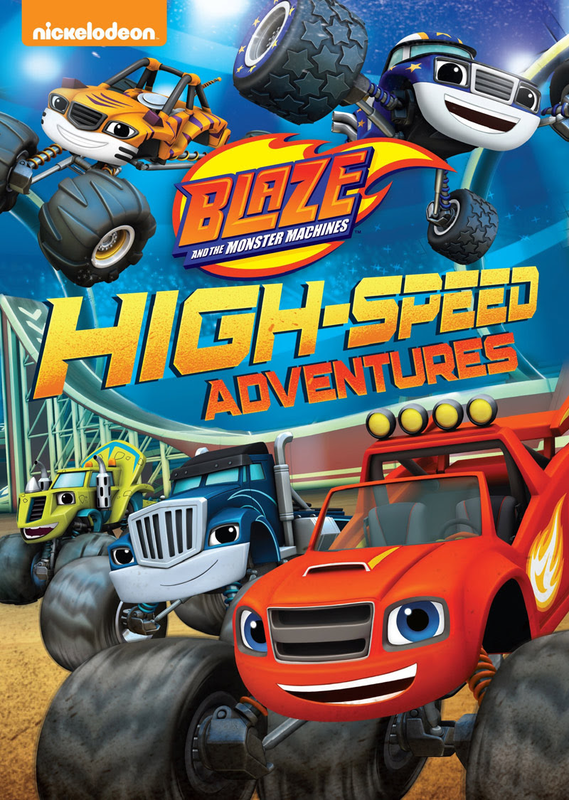 The new Blaze and the Monster Machines movie includes 4 fun packed episodes! You'll find Bouncy Tires, Stuntmania, Epic Sail, and Team Truck Challenge. Cooper's favorite is Bouncy Tires. The laughs and giggles that come out of him with each bounce is wonderful! 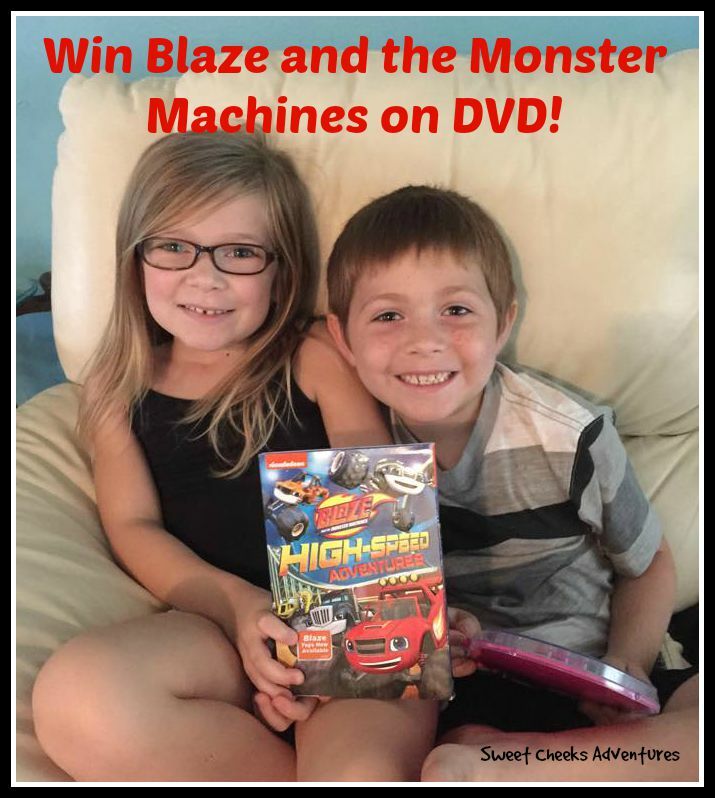 Pick up a copy of Blaze and the Monster Machines: High-Speed Adventures for your family today! It is new on DVD as of today, Tuesday, August 11th! It's a new favorite in our home and your Littles will love it too! Dates: Starts August 11, 2015 9:00 am EST. Winner will be chosen August 25, 2015 11:59 pm EST.